Calipso is happy to announce that an arrangement has been found to ensure continuing sustainable analytical services. 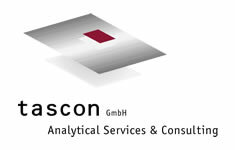 In the future the well established German surface analytical company Tascon GmbH will offer LEIS services from out Münster. For this purpose the Calipso High Sensitivity LEIS (HS-LEIS) instrument and our scientist Dr. Rik ter Veen have recently translocated to Münster. HS-LEIS instruments are due to their unique analyser concept up to 1000 times more sensitive than conventional LEIS (ISS) equipment. By adding HS-LEIS to its analytical portfolio Tascon is now able to offer information on the chemical composition with information depths varying from the outermost atomic layer down to several µm. Prof. Brongersma, who is still available as contact person in Eindhoven, will support the LEIS activity as a consultant to Tascon. By joining forces with Tascon all Calipso customers will now also have access to state-of-the-art HS-LEIS, ToF-SIMS, XPS, and REM-EDX instrumentation. At the same time an interdisciplinary expert team is available to discuss and address your surface analytical needs. For more details visit Tascon’s web site at www.tascon.eu. We are excited to announce that we have found in ION-TOF GmbH an enthusiastic partner in the further development and commercialisation of our High-Sensitivity Low Energy Ion Scattering technique. The long-term development and deep understanding of the LEIS technique at the Eindhoven University of Technology, carried forward since 1997 by Calipso BV is now combined with the unique technology and expertise of ION-TOF, a long-term leader in the field of ToF-SIMS instrumentation for surface analysis. The result of this collaboration is the new Qtac100, the next generation of HS-LEIS instruments. The Qtac100 is based on our double toroidal energy analyser in which parallel detection guarantees a sensitivity and ease of quantification that is unparalleled in other LEIS instruments in the world. This is now combined with a variety of new features such as imaging, non-destructive depth profiling, low energy sputter depth profiling, and time-of-flight filtering to improve the detection limit of light elements. The new instrument includes a five axis sample stage together with video and secondary electron imaging for sample positioning. All analytical components and their parameters are under computer control supporting a high level of automation. This makes the Qtac100 a very complete HS-LEIS instrument for research and industrial laboratories. In addition to this, the Qtac100 is also available as a bolt-on, and in combination with the TOF.SIMS 5. ION-TOF has a world-wide respected expertise in ion beams and surface analysis, reliability and an excellent after sale service. The new product will be supported by its network of distributors, agents and after sales service centers. Calipso will continue to support these developments at ION-TOF. Where ION-TOF will focus on the development, marketing and servicing of the Qtac100, Calipso and Tascon will, as always, be your partner for the application of the HS-LEIS technique. Our staff has a vast experience in solving surface related problems in various fields ranging from catalysis, tribology, surface treatments to ultra-thin diffusion barriers, self-assembled monolayers, biocompatibility, sensors, coatings, adhesion, etc., etc.. Whether this is on nice, scientific samples or on real world, industrial samples, at Calipso and Tascon we have facilities for a great variety of pre-treatment and in-situ treatments of your samples.